Kontakt.io announced today a partnership with Mist Systems, a pioneer in self-learning networks powered by Artificial Intelligence, to simplify the design, deployment, and management of IoT solutions. 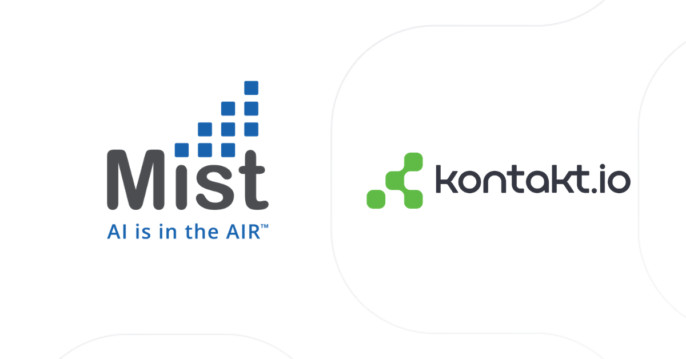 By combining Kontakt.io’s IoT platform (launching at Mobile World Congress, 2019) with Mist’s AI-driven Wireless LAN (WLAN), joint customers have a seamless solution for accurate IoT device location that leverages standards-based Bluetooth Low Energy (BLE) technology. This maximizes the ROI of strategic digitization projects while ensuring widespread applicability across various industries, including the industrial manufacturing, healthcare, and enterprises.